Featuring over 500 acres dedicated to offering the highest quality boarding and training services available. 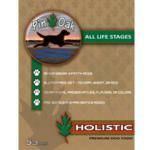 At Pin Oak Kennels you get the wisdom of a very experienced staff that kindly offers advise and suggestions. They are there to help in all areas of your dog's life. I simply don't know what we would do without them. Featuring over 500 acres dedicated to offering the highest quality boarding and training services available, Pin Oak Kennels is a full service kennel facility providing dog boarding, obedience and specialty training for all breeds since 1995. Our boarding shuttle service area includes all of North Texas and Southern Oklahoma including the cities of: Allen, Anna, Aubrey, Bonham, Carrollton, Celina, The Colony, Coppell, Corinth, Dallas, Denison, Denton, Durant, Farmers Branch, Flower Mound, Frisco, Gainesville, Garland, Highland Park, Highland Village, Howe, Leonard, Lewisville, Marietta, McKinney, Melissa, Paris, Pilot Point, Plano, Pottsboro, Richardson, Sachse, Sanger, Sherman, Thackerville, University Park, Van Alstyne, Whitesboro and Whitewright.